Jumping for joy at Umina Beach. If they were to be reincarnated, my two sons would surely return as labrador puppies. They need to be fed, run, watered and loved. Luckily, my husband and I are in synch with their exuberance and, while holidaying on the Central Coast, agree there's no better way to get a feel for a coastal town than to start the day with a walk along the beach in the buttery light of dawn. Day two of our holiday along the Legendary Pacific Coast begins at Ocean Beach Holiday Park at Umina Beach. After a clamber on the rocks in the nook the locals dub ‘Kiddie’s Corner’ the boys bend their bodies like straws and star-fish into the sand. After being properly schnitzelled, breadcrumbed in sand and dirt, we have a quick dip in the sea before heading back to our cabin, which is bright and modern and has its own ensuite. Caravan parks in Australia have come a long way, capitalising on their prime locations and offering so many options for children to go berko while parents enjoy the comforts of a really comfortable cabin replete with all the mod cons. Huevos rancheros at the the Point Cafe. The next day, we have to bribe our boys to exit through the boom gate with the offer of breakfast at the Point Cafe in Avoca, where the customers all seem to know each other and the morning shift has a brisk turnover. It’s easy to love a place that sits overlooking the beach, which is curled like a comma just metres from our table. We watch one group of locals who swim year-round, no matter the weather, crawling out to sea in their cossies before returning to the cafe for coffee; a table of retirees who, according to the animated staff, might stay from breakfast to lunch; and young families building castles on the sand and dipping in and out of the sea. The cafe has vases of flowers, easy listening tunes, tasty breakfast and lunch options and views that lower the blood pressure. The menu is pulled together using local produce and the chefs are flexible enough to tweak to your tastes or dietary requirements. 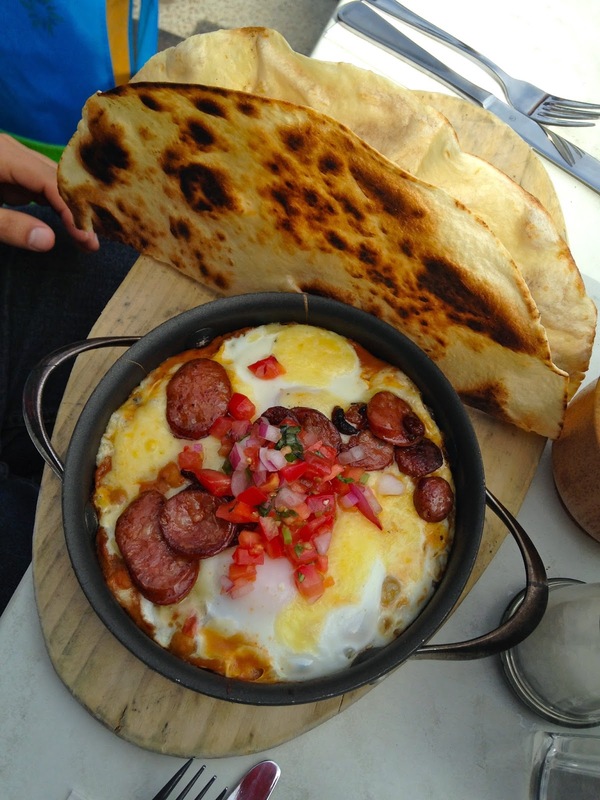 Go for huevos rancheros, googey eggs with toast dippers or smashed avo with baby capers, smoked salmon and poached eggs on pumpkin seed bread. Reserve a table overlooking the beach at Avoca, which curls out like a comma in front of the cafe. Come mid-morning, after a walk along Avoca Beach, we still have more than enough fuel in the tank for some Aqua Fun and are thrilled at the opportunity to try out the company’s large range of people-powered watercraft. Pedal-powered boats and water bikes are one of many Aqua Fun options at Avoca Lake. Mick and Jennifer Kilp and their son Nick, of Aqua Fun on Avoca Lake. After whirring about Avoca Lake for an hour or so, we all pick up the pace with a stand-up paddleboarding session, following a family of ducks using their spatula-like feet to get to shore and enjoying the aquarium below, which is full of flying mullet, plants and frogs. After people-powering around the waterway for a few hours, we head to lunch at The Kincumber Hotel, which has undergone an extensive makeover. It’s got it all: there are nooks for books, trivia nights, boutique craft beers on tap, staff with a sense of humour, table tennis for the children and a really excellent range of pub grub which includes Healthy Stuff as a main, rather than an after-thought. The signature Kincumber salad is one of many clean and green options on the menu. The hotel, once owned by journalist Mike Willesee, is included in one of the 52 Local Secrets campaign to lure visitors to the Central Coast and, judging by the lunchtime crowd, this secret is well and truly out. Be sure to check out the boutique brews available on tap from local brewers, the Six String Brewing Co, which flings open its doors Wednesday to Sunday offering samplers and selling street food. 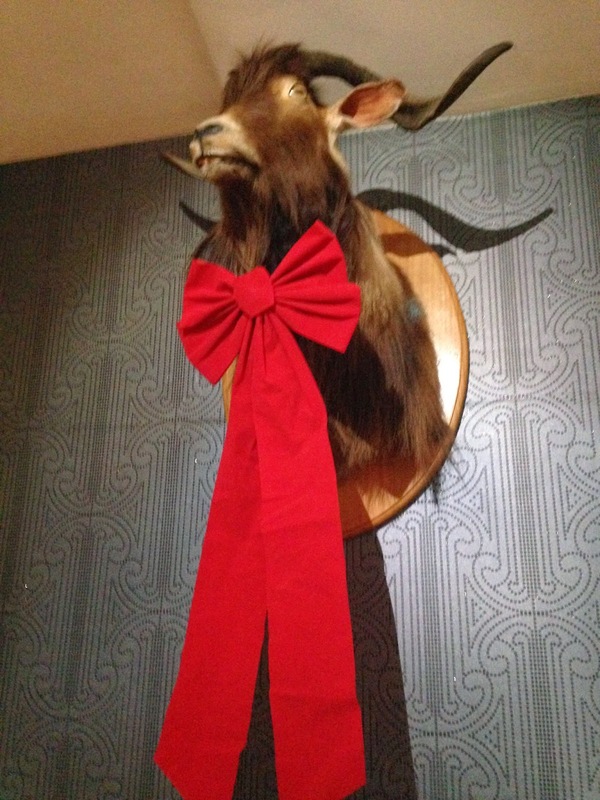 The Hairy Goat that inspired the name of the bar at the Kincumber Hotel. 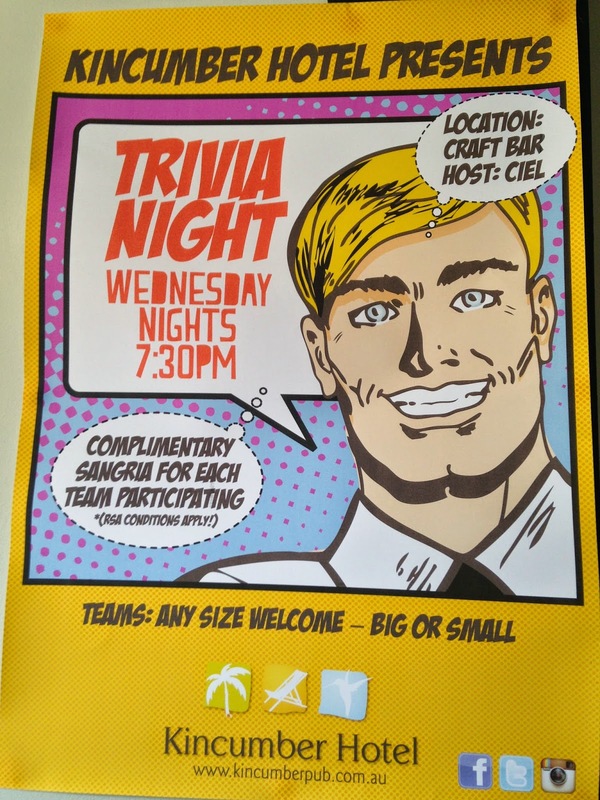 Kincumber Hotel presents trivia nights every Wednesday. Boutique brews are the order of the day at Kincumber Hotel. The Kincumber Kitchen is all dark and moody with pendant lighting and comfortable booths. Watery views from our corner balcony room at Crowne Plaza, Terrigal. Once settled into The Crowne Plaza Terrigal, which is in the process of undergoing a tasteful renovation, we spend the rest of the afternoon exploring the township of Terrigal – named after the Indigenous word that signifies a ‘place of little birds’ - playing a round of beach cricket and thrashing around in the shore break. We also huff and puff up to the promontory known as the Skillion, a local landmark that offers a birds’-eye perspective over the area. The Crowne Plaza, Terrigal, is in the process of being brought up-to-date. Our room has a restaurant directly below it, which is a great spot to watch the thunder and lightning show over the sea, stretched out like sheet metal in front of us. The Florida Beach Bar – or Beery’s as the locals refer to it – is also a-clatter with the sound of pool cues and Powderfinger. It’s known to cater to raging parties on the deck out front, which is festooned with lights, but on a Monday evening the crowd is a mix of conference-goers, out-of-towners and locals loving up their neighbourhood spot. The perfect beach for a round of french cricket with the family. At the day's end, The Husband and I reflect on how many holidays we've had to the Central Coast in the past few years and agree they are the type of short breaks that we will look back on for years to come. The fact that it's so close to Sydney only adds to the appeal of chasing the sun up the coast. Body-surfing the shorey at the main beach in Terrigal.